A list of accommodations are located at the bottom of the page. 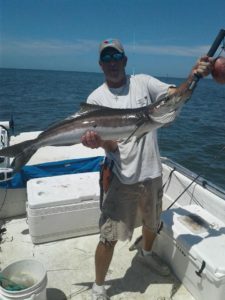 We provide all required fishing license and stamps for everyone aboard our boats. 2). How do I pay? 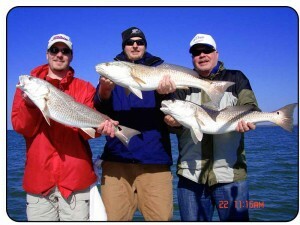 You will need to make a deposit of $100.00 to book a trip and you may pay with a credit card or cash. 3). What is the length of the trips offered? 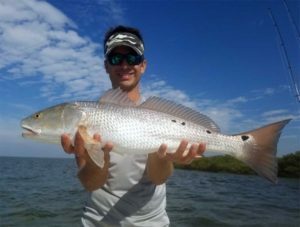 From novice to expert, any level of experience is welcome we also offer fishing lesions. 5). 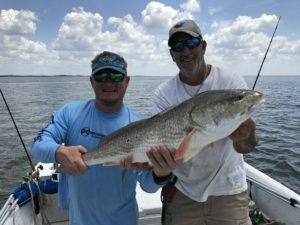 How many anglers can fish? 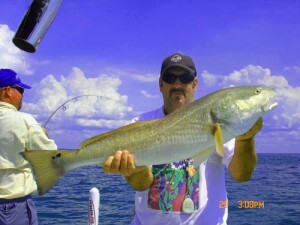 Our boats can accommodate up to 6 people, fish 4 nicely. You are responsible for your own food and beverage. We do offer a great shore lunch, ask the captain for details. 7). Are alcoholic beverages allowed on board? Yes Beer, Wine, Wine Coolers ect.. are allowed. NO GLASS, All beverages must come in either cans or plastic containers and no under age drinking allowed. 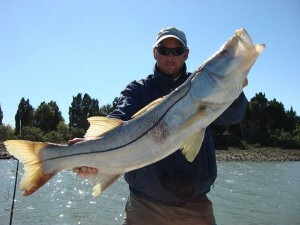 We provide the latest and greatest tackle on the market today. All line is changed on a regular basis. 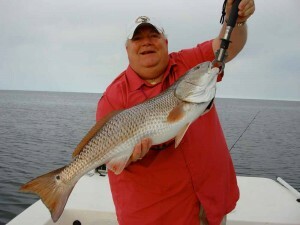 However you are welcome to bring your favorite rod and reel if you like. 9). What kind of clothing should you bring? 10). What kind of shoes should I wear? No open toe, No black soles. 11). What is the cancellation policy? If your trip is canceled by the captain due to bad weather we will re-sceduel your trip to the next avalible date. Cancellations due to non weather related events by you must be a verbal cancellation 72 hours in advance prior to your trip date to receive a full refund. Or you may reschedule your trip to avoid loosing your deposit. (Lots of time and money go into trip preparations). it takes up to 30 days to process a refund and have it returned to you. 12). How much of a (GRATUITY) is considered customary? If you had a great trip and are happy with the service provided, 15-20% of the trip cost is appreciated. 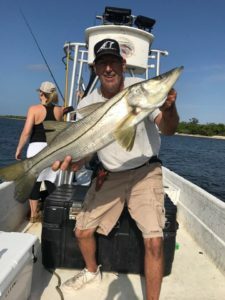 An six-hour charter is equivalent to a ten-hour workday, when you consider preparing the boat, tackle, and equipment for the day, handling the charter, cleaning the catch, travel time, cleaning the boat, and preparing for the next day LOTS OF HARD WORK. 13).Do you know? 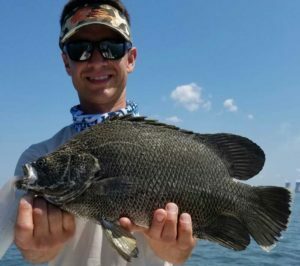 What kind of fishing you are interested in? A. 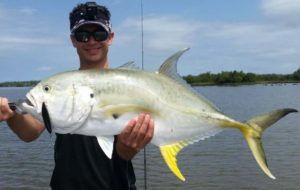 (Flats Fishing or Back Country) is mostly done in shallow water 3 feet or less around oyster bars, sand bars, grass flats, rock piles and mangrove islands. 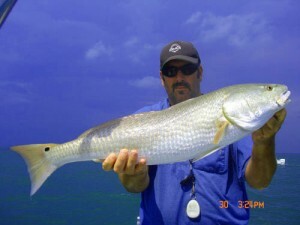 Only a few miles from land targeted species are Redfish, Trout, Snook, Jacks, Tarpon, Snapper, and Cobia. 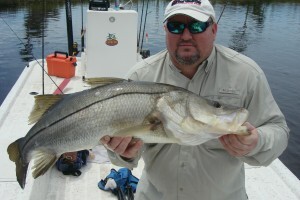 Type of fishing, live shrimp, pinfish, cut bait on the bottom or on a bobber, artificial top water lures and jigs. B. 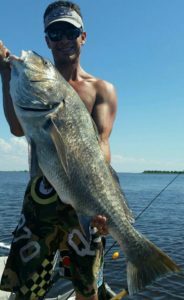 (Nearshore or Inshore Fishing) is mostly done in water 3 to 20 feet around deep grass beds and shallow water coral and sponge reefs. 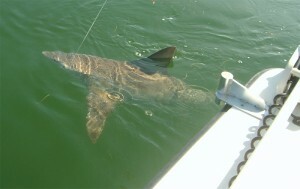 Anywhere from 3 to 10 miles from shore targeted species are Trout, Grouper, Cobia, Shark, Tarpon, Mackerel. 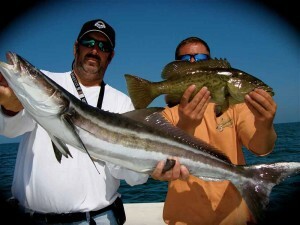 Type of fishing, bottom fishing with live and cut bait, artificial diving lures and jigs. 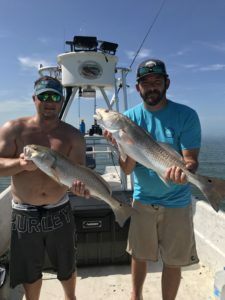 C. (Offshore Fishing or Deep Sea Fishing) is mostly done in 15 feet + of water on the gulf side (bottom fishing) around offshore reefs and wrecks any where from 10 to 40+ miles from shore. 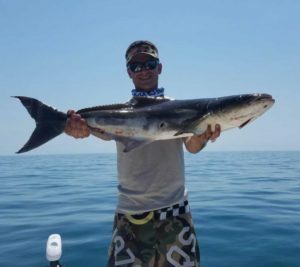 Targeted species are Grouper, Cobia, Sharks, and King Mackerel. 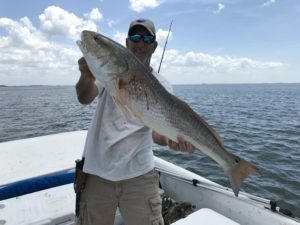 Type of fishing, bottom fish with live and cut bait. Dress for the season, short or long sleeve shirt, light windbreaker or jacket depending on weather. A hat for protection from the sun, sun block 30SPF to 50SPF and a pair of polarized sunglasses so you can see the fish. Food and drinks. Bring your prepared lunch and whatever snacks you like. Beer is ok but no bottles please. (cans only). 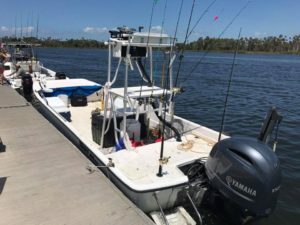 Remember we are here to fish not get hammered. 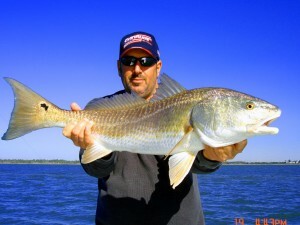 Although not required, your favorite light spinning or bait caster if you wish. A small water resistant bag to put all your stuff in such as cell phones, keys, camera ect..
16). Sea Sickness. 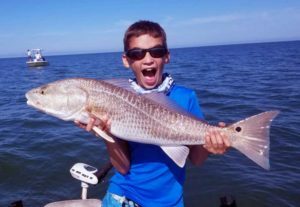 If you or your family think you may get sea sick, then an inshore or flats fishing trip is your best bet. 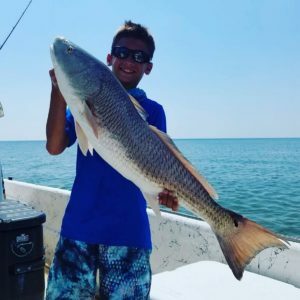 There are a variety of fish to catch without the fear of getting sea sick like Redfish, Trout, Cobia, and Sharks. 17). 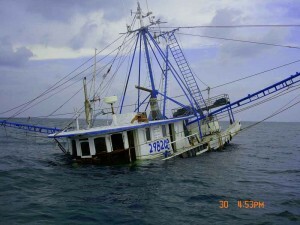 Your captain and crew are U.S Coast Guard Licensed and U.S Insured & CPR certified. 18). 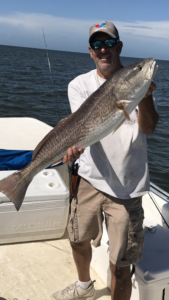 Book your charter early. 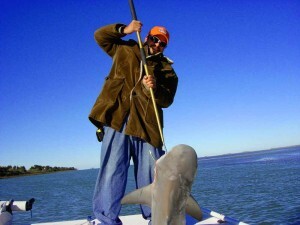 Most top ranked guides book charters months in advance, and they require deposits to secure dates. In most areas in Florida, you want to avoid the weekend crowd if you can. Heavy weekend pressure can make catching tough. Also, be sure to review the cancellation policy of the service you chose. Many guides will withhold your deposit if you deviate from their policy. 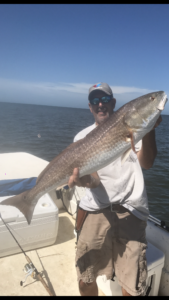 YES, I can fish last minute but it’s best to book 2 weeks to a month in advance if possible. 19). 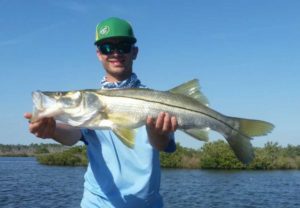 Discuss your fishing desires with your guide. 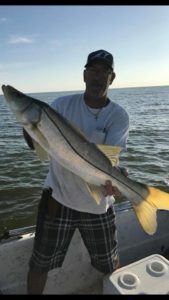 Some charter services specialize in a specific skill levels, so make sure you mention your skill level and experience, and if inexperienced anglers will be fishing. 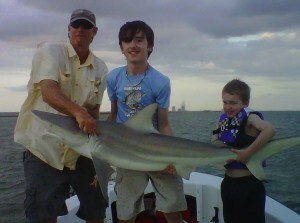 Also, please be sure to mention if small children or persons with special needs will be fishing. 21). No Fish No Pay Guarantee. The no fish no pay guarantee is not fish specific. 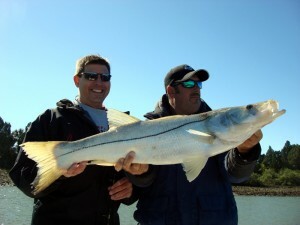 We guarantee you will catch fish or your next trip is on us. 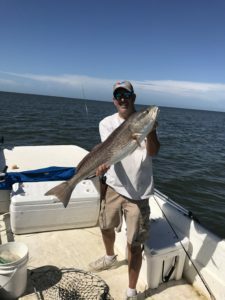 This guarantee dose not include environmental conditions that may directly or indirectly affect the fishing. 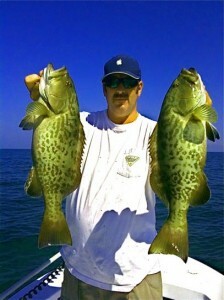 High winds, High or Low Tides, Rain, ect.. We are good at what we do and will make every effort to put you on the fish. 22). 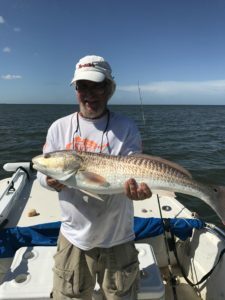 Medications If your taking any kind of medications while on a fishing trip the extreme heat and boat contains could put you at risk. Pleas talk to your doctor before engaging in this kind of activity’s. Not responsable for typos or errors in descriptions.